Intensify The Interest… wearing Cica Ghost! I was very excited to learn that Cica Ghost would be part of this year’s Art in Hats 2015 Event! OMG, like so many of you, I have been entranced by her art, in Second Life, for ages now. When I saw the hats she would have, at the event..I died and went to hat heaven! Cica has a way of drawing you into her art, where you feel what she feels when creating her phenomenal installations. 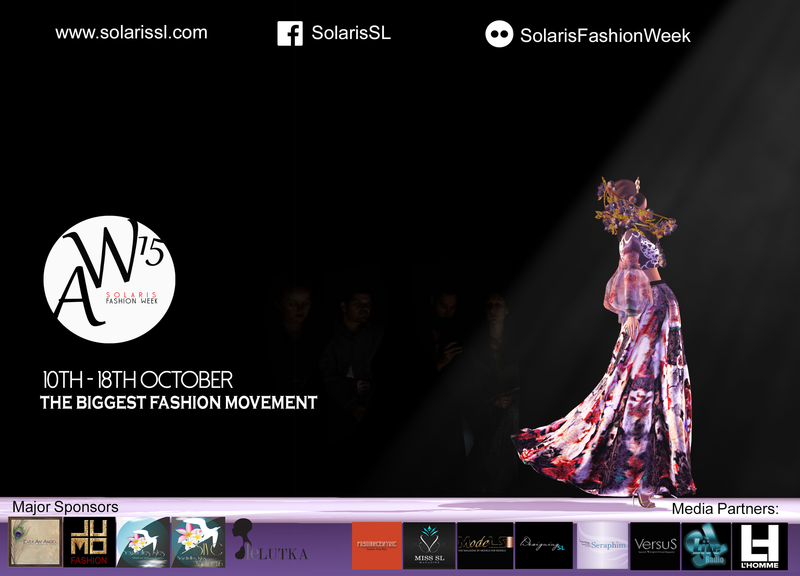 Her hats designs are no different and are a work of art that draws you in, with its own siren call! The tantalizing chapeau, I wear, is a wide brim, floppy style Fedora Hat. The crown is round and is trimmed in the most luxurious fur. I tried to obscure my face, with a face net veil, so you could see the gorgeous beauty of her hat. The hat material is that of a velour paisley print, whose elegance will take you to the height of chapeau chic, whether you go casual or choose to shut a room down, with your entrance! Cica has added a bit of the unexpected, with the boho styled, dressed playing violinist that adorns the hat brim. Yes, this cool looking musician actually plays and I was hooked, just watching him play. This hat is just incredible.. I am in love with this hat!!! 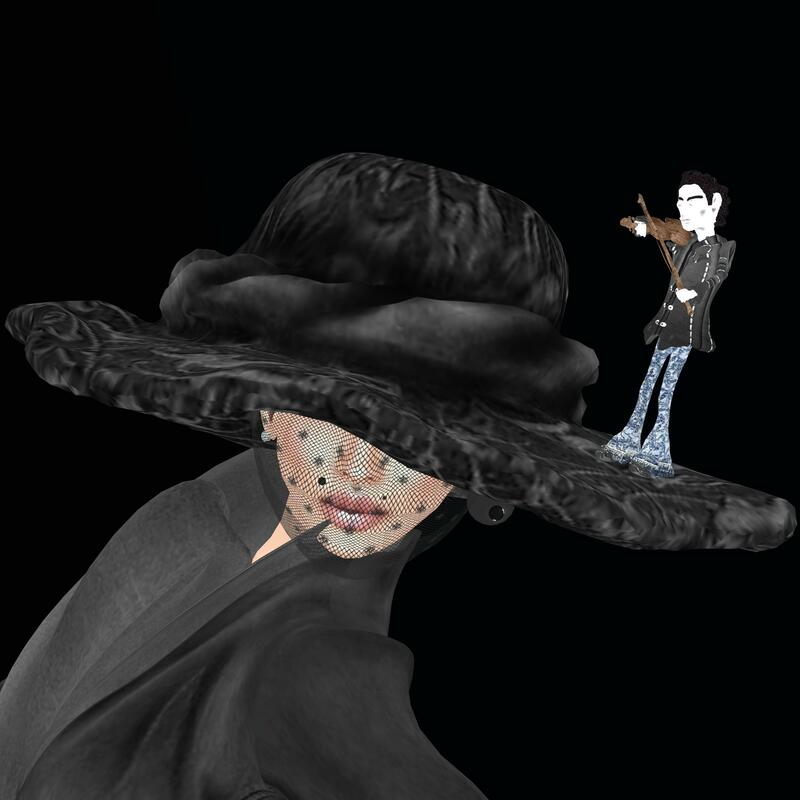 Since your face is the first thing, that most people notice about you, intensify their interest wearing Cica Ghost’s hat, available at the Art in Hats 2015 Event! 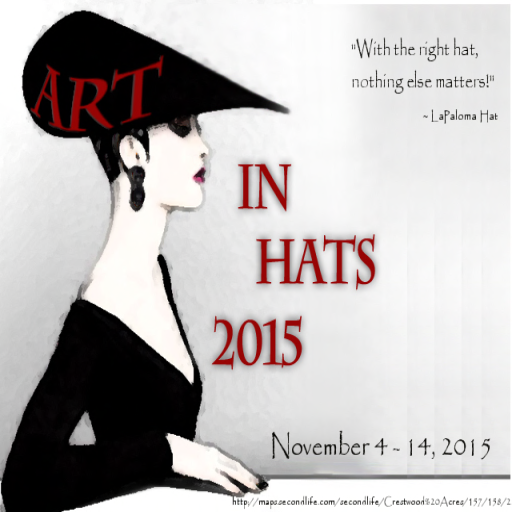 The Art in Hats 2015 Event opens officially on November 4th. 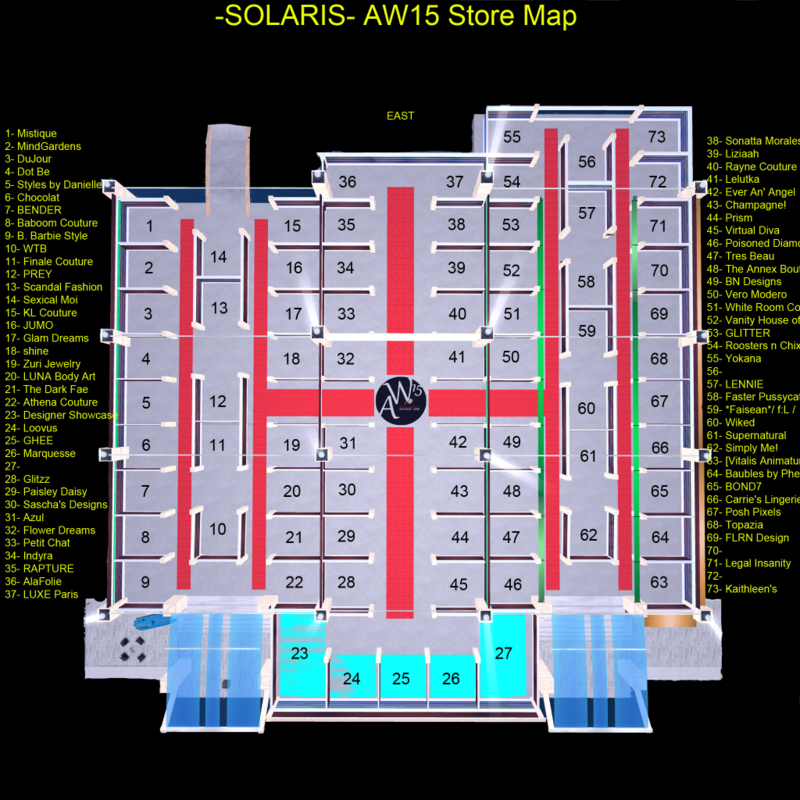 I will include the landmark as soon as the event opens to the public! 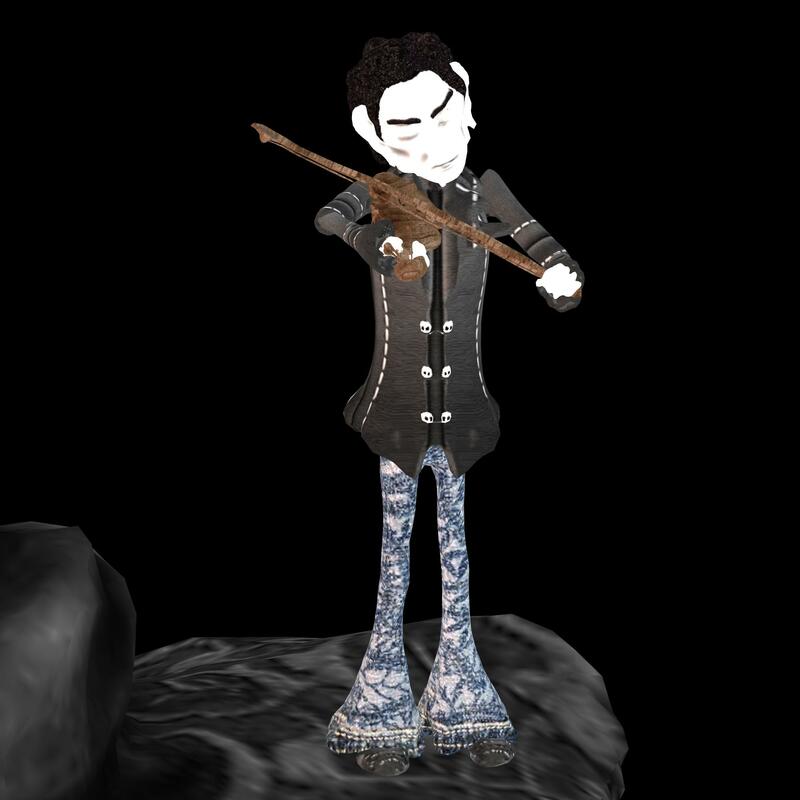 Artist from Serbia, in Second Life since 2010.